Okay, I have to be honest. I can NEVER remember how to spell Caribbean. I actually just misspelled it trying to type it just then. GUH! So, needless to say, writing this recipe was tough. One day, maybe I’ll remember. Until then… thank you, spell check. And thank you, Caribbean Pork Gods. The flavors in this dish are perfectly balanced: citrus + sweet + spice (but not spicy). 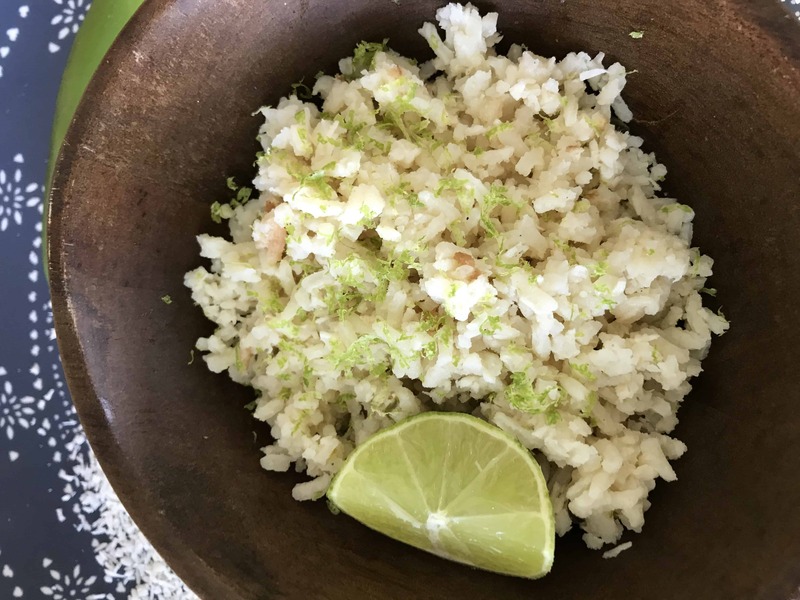 They are taken over-the-top when you pair with Zesty Coconut Rice, cilantro, and an extra squeeze of lime at the end. LOVE this one! This was another Crock Pot Wednesday win! Jon Boy actually guffawed [and almost choked, but in a good way] when he took his first bite. I took that as a sign that he loved it, needless to say. “Definitely a repeat babe. 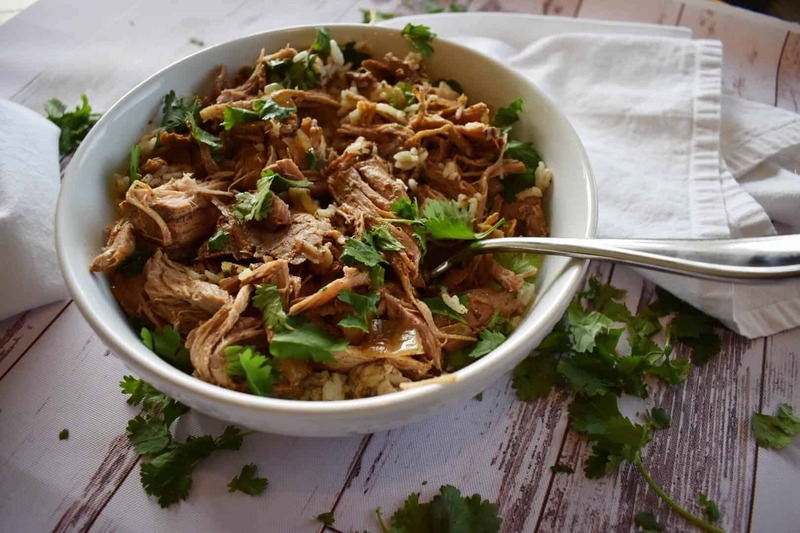 Definitely.” Winner, winner, crock pot dinner. I’ve had this cookbook for yeaarrrsssss. I love it. I’ve cooked this pork the way they’ve written it and loved it! 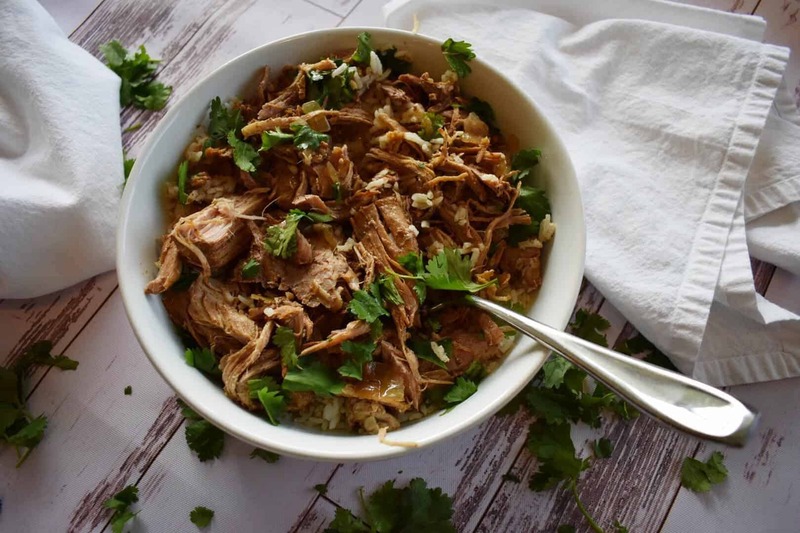 I wanted to see if I could convert it to a Crock Pot recipe, and voila – it worked! They also have a great recipe for King Ranch Casserole that’s always done me proud. I love that these are recipes that Southern Living’s readers have actually tried, reviewed, and revised. Y’all know southern women can cook and be vocal, so you know they can be trusted. Crock Pot Wednesdays are the best. I know there’s a little extra step in searing the pork (or you can skip it, but I’d recommend taking the extra time). By searing the pork, you’re helping to seal in some of the juices and add some brown to the mix – which is always a good idea! Combine all ingredients except the pork in a large bowl; stir to combine. Place the pork in a large Ziploc bag and add the marinade. Turn to coat and refrigerate overnight. Option A (recommended): Heat a large Dutch oven or skillet over high heat. Place the pork in the Dutch oven and pour the marinade into the Crock Pot. Brown the pork on both sides (about 5 minutes per side). 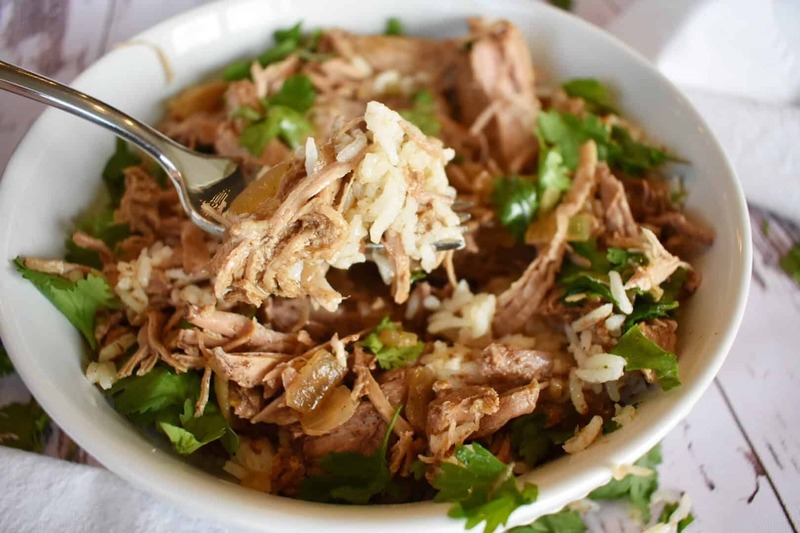 Place pork in Crock Pot. Option B: Dump everything into the Crock Pot. Cook on high 8 hours or on low for 12 until pork shreds easily with a fork. Occasionally baste the pork with the liquid if you can. Discard any fat from the pork. Garnish with cilantro and lime wedges. Best served with green peas + Zesty Coconut Rice.